Talk about stepping outside your comfort zone! Here we find the undisputed king of progressive guitar from design to playing stepping off with his first solo piano date. From graphics to playing, it's very much in the mold of uber classic ECM, back when Keith Jarrett and Chick Corea often sounded scary. With sturm and drang classical overtones running through it, we're probably at the start of a journey into finding out there's nothing Kastning can't do. 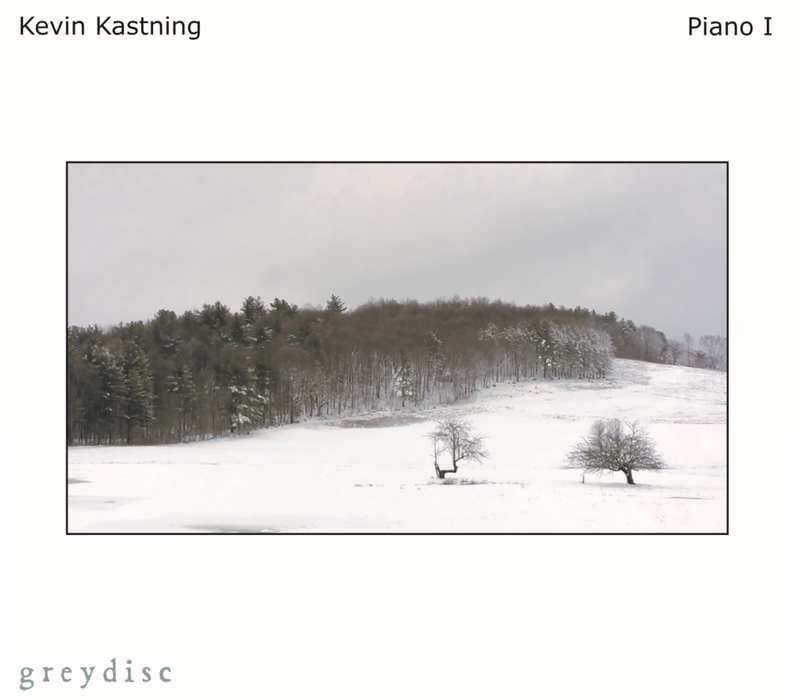 Although he is renowned for his expertise as a guitarist, composer, recording artist and designer of the most unique carbon fibre guitars on the planet, Kevin Kastning proves his worth once again, this time as an improvisational pianist on, Piano I, his sixth solo album for Greydisc Records. Throughout the 9 track Piano I, Kevin lives up to his reputation as one of the most ingenious American talents on the 21st century worldwide musical scene. Throughout his various albums, many recorded with his talented friends, like Michael Manring, Carl Clements, Sandor Szabo and Mark Wingfield, Kevin has always made recording quality music his top priority. Although he has featured his recorded piano sound on earlier Greydisc albums, including The Book Of Crossings (2012), A Connection Of Secrets (2017) and in 2018 on the Ethereal I album with Sándor Szabó, Kevin’s first completely solo piano album has his trademark sound all over it. Long time followers of his recording style and musical vision will easily detect Piano I as clearly being an album very much true to Kevin's own style and influences. Speaking to mwe3.com about Piano I, the artist explains, “The pieces on Piano I were all improvised, all first-take recordings. I had an overall compositional concept and direction in mind for the album, and constructed the pieces to fit into that.” Kevin has clearly earned his standing among the most unique modern-day American musical improvisers and Piano I album also makes a strong statement of appreciation for the great pioneering composers of the past. Regarding that last statement he explains, “The composers by which I’ve been influenced for keyboard works would be quite a long list. Bach, Schoenberg, and Bartok are the first that immediately come to mind, but are certainly only the tip of that iceberg. Keith Jarrett’s solo works have had a massive, tremendous impact on me for sure, but far more on the guitar side of things than the piano side. I am not trying to rethink classical music… I just recorded a few piano pieces.” With its steady flow of convincing and compelling musical ideas, all expressed by a singular artist performing solo on the stately piano, Piano I takes Kevin Kastnings’s career in a new and exciting musical direction. Piano I signals a change of instrument for Kevin Kastning, perhaps better known for his more recent compositions using the 36-string Double Contraguitar and 30-string Contra-alto, as well as his previous albums with Sandor Szabo and Balázs Major, Kismaros and Ethereal II. As with all of his compositions they are vastly different, challenging, almost confrontational, saying ‘dare you to let me take you to a musical place you have not been to before’. As always, his music is inspirational, strangely comforting, reassuring in its spare and yet complex simplicity. A composer of classical music, Kastning has worked with, and composed for, many solo and chamber music performers over the years as well as building a firmly established background in Jazz and contemporary classical music, all of which manifest on each of his diverse collections in an ‘avant garde’ style. Once again, his wonderful mastery of improv makes each one of his pieces unique, pushing the defined boundaries of what consists of classical music. Having his more recent album Ethereal II compared to a high level of improv similar to that of Jazz musicians being in the moment, the vibe, this comparison holds true for this new work, Piano I which can also be compared to a very, almost transcendental level of pure music, pure sound. The sound is adventurous, a man at one with the piano, allowing the spirit that is there to be recorded, to come into being, there to be enjoyed. Consisting of three Constructions, a Component and an Element, the work is linear, progressing from one stage to another in regulated order, placed in a controlled and definitive order. Although piano is not a new element to Kastning, recording a solo album on this instrument certainly is a new direction, which will be interesting to see where it leads to in the future. Kastning has played piano on many of his albums to date, mostly on collaborations where someone is playing guitar, but for his sixth solo album, he has crafted nine pieces – over an hour’s worth – exclusively for piano. Hint: Kastning’s piano compositions sound a lot like his guitar compositions, but he’s worked the ideas out for piano instead. Drop the needle on any track and it won’t take more that a few measures to recognize that what’s being played comes from the same wellspring of ideas that his guitar albums do, with a sense of unpredictable randomness and mystery about them, but delivered in a dreamy, gentle and superbly sublime way, with all the dreamy atmospherics of his guitar albums, but only with piano. Many artists take on a different persona when they switch to different instruments, but that doesn’t seem to be the case here. The nine tracks are presented in five groups: “Construction 1” has parts a, b, and c, and a listener might not even notice the change between the parts unless looking at the track counter from the corner of your eye, the peaceful and idyllic emotional aura from one section continues right into the next. “Construction 2 (a, b)” and “Construction 3 (a, b)” similarly have two sections each, a similar style, but they move the spirit in slightly different ways – as a reviewer I don’t want to dissect the compositions and take the discovery and mystery away from the listener, nor could I really, but the mood of each evokes a very different feeling than the first three-part piece. As with his many guitar albums, here, the piano becomes an emotional extension of his soul, moving freely like the winds of his consciousness. The two closing opuses bear different titles: “Component Factor I” and “Element Sector I” (which I guess means part II of both may be coming on some future release). The former seems to include some ideas explored in the “Construction” parts but explored in different ways, perhaps taking a more sparse approach, while the latter seems to document an open-ended journey with numerous melodic sidetracks that never seem to bring the listener back to a starting point, which is totally okay in my book. The entire album makes for some great repeat listening. Hard working guitarist Kevin Kastning is no stranger to the recording studio as his output has been extremely steady over the years. For those of you unfamiliar with his work, Kastning is the inventor of the 36-string Double Contraguitar and 30-string Contra-Alto guitar. His music takes an experimental approach, very eclectic and ethereal and if you enjoy music on the ambient side of the spectrum I would urge you check out his work. His new disc is a little different, not so much in style of composition but in the fact there is no acoustic guitar. 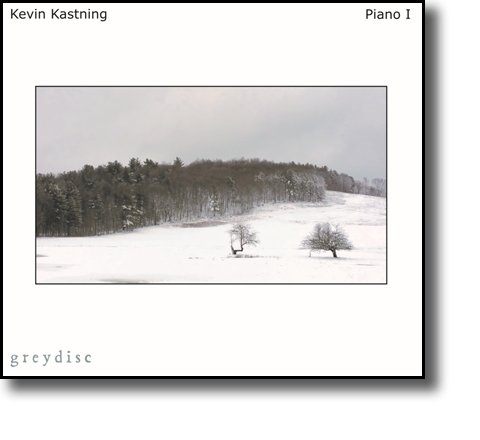 Kastning has been with the Greydisc label for six recordings and this is the first to feature only piano. As with his guitar albums the music exudes atmosphere and moodiness, his piano providing slow moving textures and mostly gently played notes. For contrast, Kastning does use the lower keys well creating more diverse moods . This is a stark album with the tracks flowing seamlessly together. Talking about individual tracks is rather pointless in my estimation due to the blending of sounds. This is one of those albums that needs to be listened to with complete quiet, allowing your mind to be clear of thought. This is about as contemplative and meditative music can get so if you want to be relaxed give Piano I a try. "Many thanks for your latest. Of course the music — and the typically high level of production — are the standout qualities to “Piano 1.” One thing I noticed first and foremost was the similarity between your piano playing and the way you sound on guitar. It is definitely the same artist, which is a testament to how, even if you were playing a slide whistle, it would still sound like Kevin. Your musical identity is that strong, in much the same way Clark Terry’s singing informs his trumpet playing and vice versa. That alone puts you in a pretty unique (and elite) class. So… thanks again for the music. I’m enjoying “Piano 1.” Will there be a “Piano 2”?" Congrats to the new album, it is a great one! I personally like the sound of acoustic piano a lot, it is soothing for me and simply wonderful. What stood out to me as a really unique and recognizable feature were these wonderful dense chord clusters on "construction 3B", extremely nice!!"